Curup Mangkok is one of the waterfalls at the foot of Mount Dempo, Pagaralam, South Sumatra. Curup or commonly called the waterfall flowing from large rocks and there are some trees on the left and right. The road to get there by climbing the mountain, but to reach the place has made a steep road, but can be passed by car to the edge of lake from the waterfall. This Curup Mangkok has the cold water to soak in the refrigerator, although superficial but the water is very cold. Around the lake there are colorful coral stones, this lake is located in the valley. When we look at the source of the waterfall there is a gap formed beam of trees adjoining waterfall flowing. 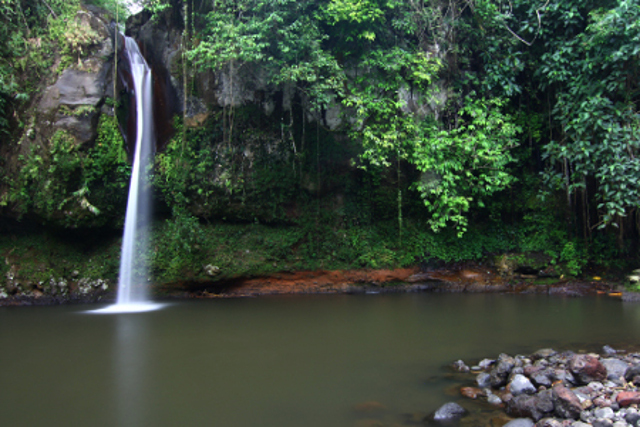 The waterfall is named Curup Mangkok because its shape resembles a bowl (mangkok) that has a pool exact below of waterfall swift. For visitors who want to pamper themselves with the cool mountain water while swimming here is also very interesting. 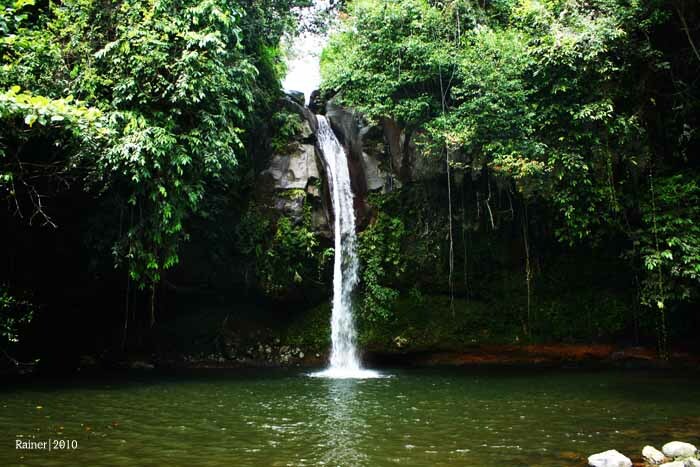 Location Curup Mangkok is also not far from Embun Waterfall, approximately 100 meters.